Isn’t makeup amazing? 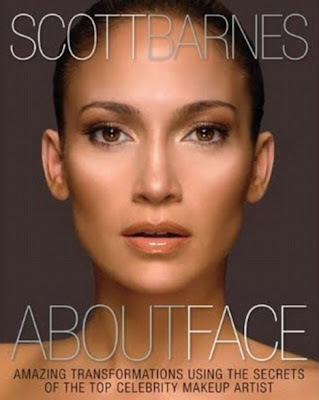 I mean, just look at Jennifer Lopez on the new Scott Barnes book, About Face. See how careful shading and contouring slims the bridge of her nose and changes the shape of the tip? Rigggght. I would’ve thought the point of a book about makeup was to show the different looks that can be created through application techniques and products. Maybe this is what the inside of the book's about. In both its US and UK forms, the cover depicts a strange-looking JLo doppelganger, with altered, shrunken nose. The airbrushing on the US edition concentrates largely on the bridge of Lopez’s nose – removing the line of the bone and narrowing the overall width. The UK version goes even further; shrinking her entire nose and elevating the tip. It looks pinched, too small for her face and odd. Why the publisher, Barnes or whomever was in charge of the cover felt the need to alter Jennifer Lopez’s distinctive and already very attractive features is beyond me. I like the look of her real nose, it’s characteristic, it’s in line with her Latin American heritage and it suits her. Why does worldwide celebrity, Jennifer Lopez, need a Barbie nose to sell a book? 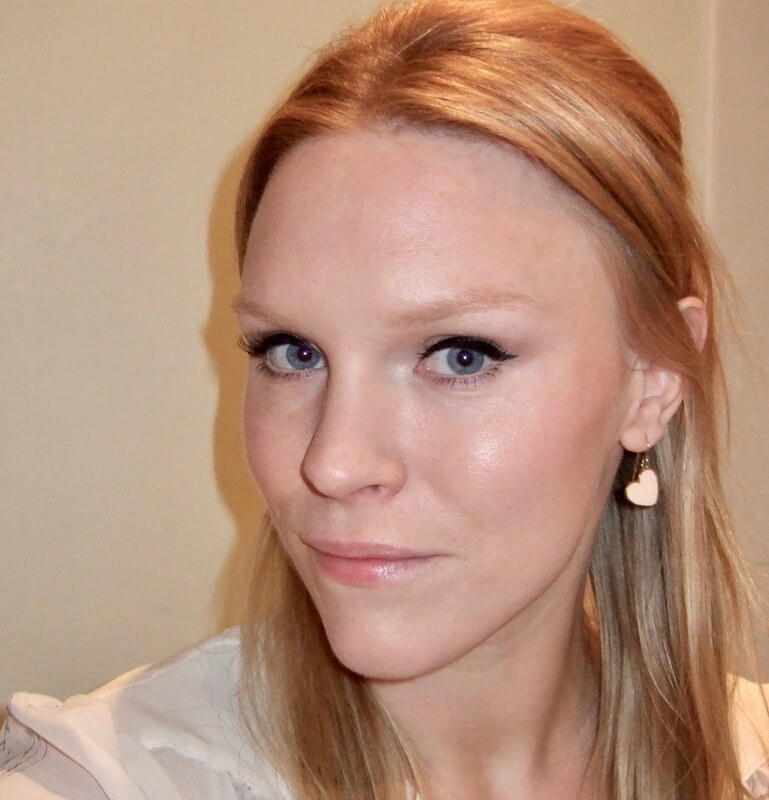 This comes in the same week as we see US ‘reality star’ Heidi Montag reveal the results of her second round of cosmetic surgery – a whopping ten procedures in one day. Through her efforts to conform to the Hollywood female stereotype, Montag has successfully wiped all character and charm from her face, leaving in its place a blank, waxy expression reminiscent of a computer game character, and aging herself ten years in the process. Looking at her, it’s a relief to think that, at least for now, Jennifer Lopez only looks weird on a book cover. Heidi’s unrecognisable face is permanent. A bit depressing really, that even celebs aren't deemed perfect by the photoshop kings. Makes me glad I'm not famous - my own scrutiny is enough! I'm really bored of all the over-airbrushing that happens these days... JLo's nose on those book covers look completely out of proportion to her face! And it's a bit stupid if the book is meant to be about how to enhance the face using *make-up*! And is that photo of Heidi for real?! OMG she looks awful in the "after" photo! Totally agree with both of you ladies, thanks for your comments. And I'm afraid that yes, the 'after' photo is for real - if anything you can't tell from the photo how truly weird and doll-like she looks. The tv footage is highly disturbing! PS Did I mention she's 23? 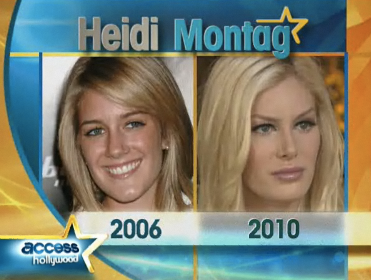 OMG Heidi looks totally different! and she changed for worst! she was a cute before and look now! crazy!! she looks really old now!